As children, most of us had staring contests with siblings or friends. How long could you hold that stare without having to blink? Your eyes began to burn and water and finally you gave up. Blinking is the quick action of closing and opening your eyelid. Blinking is necessary because it clears away dust particles and lubricates the eyeball. The average blink takes about 400 milliseconds, but the speed can be affected by many things such as fatigue, use of medication, and certain health conditions. Even though you probably don't notice it, the average person blinks approximately once every 10 seconds. The human brain is capable of ignoring the darkness of a blink, allowing us to have a continuous view of the world. The main reason our eyes blink is to wipe and re-new our tear film. Our tear film is actually quite complicated and is made of much more than water. Our tears are made of mainly water, oil and mucus. Also, there are hundreds of other components such as lysosomes which function like natural antibiotics. There are also many nutrients and amino acids that help nourish the cells in the cornea, the clear, dome-like structure on the front of the eye. There are many glands of different types in the eyelid. When the eye blinks, there is a squeezing mechanism that expresses these glands to secrete the components of the tears. There is also a slight horizontal movement of the eyelid that pushes debris towards the puncta, the tear film drain pipe. 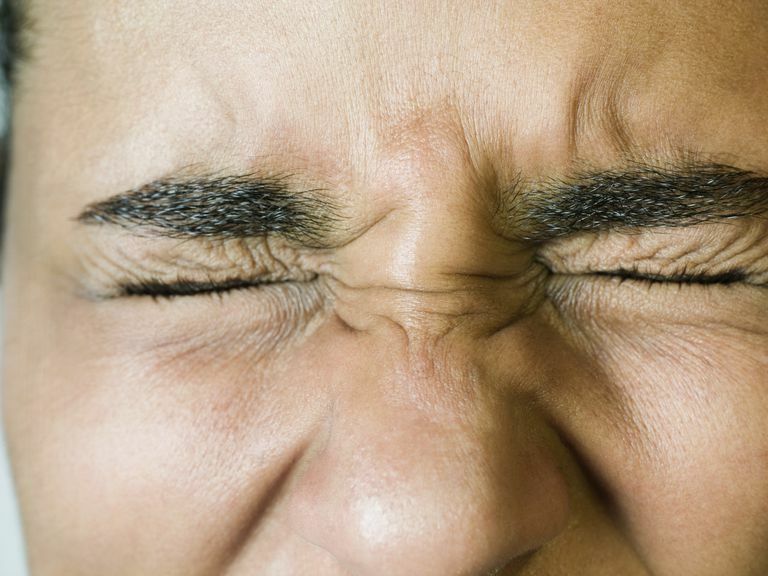 Scientists have uncovered other reasons why we might blink as often. Scientists state that we blink more than what is necessary just to re-new the tear film. A study completed by scientist in 2012 suggests that we may blink for other reasons. After reviewing much research, the researchers found that that the exact moments when we blink are not actually random. They actually found that we blink at predictable moments. For example, when reading, most people blinked at the end of a sentence. When a person is listening to a speech, they tend to blink when the speaker pauses between statements. Another example is when people are watching a video, they all tend to blink when the action on the video lags for a moment. It gets a bit complicated, but the scientists felt that we use blinks as a way to have a brief mental resting point which quickly shuts of visual stimuli so that we can focus our attention on what is at hand. The scientist found that when people blinked, mental activity spiked in certain areas in the brain that function when the mind is in a state of wakeful rest. They felt that activation of this part of the brain serves as a short mental break which then allowed for better attention when the eyes opened again. Others have put forth that we blink for other psychological reasons as well. Additional research is needed but it seems clear that our mental status is altered when we blink and not just to re-new our tear film. What's the Reason for Your Eye's Pupil? What Are the Red Flags That You've Got Red Eye? What's Wrong With My Eyelid?